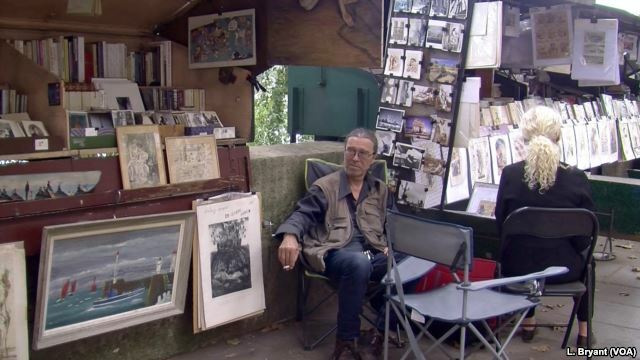 Bouquinistes is the French word to call sellers of old books along the Seine River in Paris. The tradition has existed for over 400 years. However, modern technology like electronic book readers and sellers of books online are now hurting their profits and threatening their existence. To save the trade, the bouquinistes are now trying to be added to UNESCO’s Intangible Cultural Heritage list. The list recognizes and protects traditions and living expressions passed on from family members. Bouquiniste David Nosek is among those supporting the bid to be added to UNESCO's Intangible Cultural Heritage list. David Nosek is one such bouquiniste. He is busy reading a book and rarely looks at the tourists walking by. A few stop to examine old books and artworks on his green metal stand. Sophie Leleu supports the effort to be added to UNESCO's Intangible Cultural Heritage list. She thought it would be a good way to maintain the quality of the trade. Bouquinistes line the left bank of the Seine River in Paris. 'If we're on the UNESCO list, we become like the Egyptian pyramids, or the Venetian gondoliers — nobody can remove us,” she added. First, the bouquinistes need to make France's own intangible heritage list and the difficult process can take several years. France can only support one candidacy every two years for the UNESCO intangible cultural heritage bid. So far, UNESCO has only accepted 15 out of 400 that made the French list. But not everyone, including some bouquinistes, supports this idea. Some fear they will no longer be able to sell the souvenirs that help them survive. Francis Robert has been selling old comic books for 40 years. 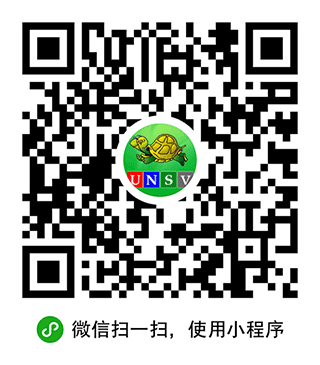 He said intangible cultural heritage status might seem like a good idea. But the money from souvenirs like key chains, and small Eiffel Tower statues, has allowed him to continue selling books. Meghan Patton, a visitor from Philadelphia, said with the bouquinistes 'you get the feel of Paris… They're part of what makes the city so special. However, some travelers are not as interested in the bouquinistes. Colorado author Mike McPhee, who has visited Paris many times, said he would not trust their books to be real, and would rather buy from a trusted dealer. Bouquiniste Francis Robert, right, is against the UNESCO bid, fearing it will end his ability to sell the souvenirs he says he needs to survive. The district is in the center of the Latin Quarter, home to the Sorbonne, one of the world's first universities. Its town hall faces the Pantheon, where some of France's greatest writers and academics are buried. The area is also home to the majority of Parisian bookstores, publishing houses, and most of the city's bouquinistes. 'There's nothing more democratic than books,' said Berthout. She is the daughter of farmers from central France, and discovered famous writers like Shakespeare and Emile Zola thanks to low-cost books her parents bought. Berthout says that UNESCO Intangible Cultural Heritage Status would give bouquinistes more recognition, and hopefully increase their sales. This would allow them to continue selling old books and not cheap souvenirs. But few people believe the bouquinistes will completely disappear from Paris. There are more than 200 today, compared to less than 30 in the 17th century. Lisa Bryant reported this story for VOA News. Phil Dierking adapted the story for Learning English. Hai Do was the editor. Do you think the Parisian bouquinistes should be recognized by UNESCO? Write to us in the Comments Section or on our Facebook page.